Publisher: Geoffrey Nevine April 25, 2017 This information is provided solely as a guideline. Be it 6 am, 10 am or 12pm..breakfast is always a plan. After fasting for 8 hours the night before it only makes sense to have something nutritious, hydrating and tasty. So in light of a healthier you and keeping those new year's resolutions, fruit boats are the way to go. Keep things simple with fruit that’s in season and try different combos to switch things up. Having a platter of fruit every now and then is just like summer on a plate with no regrets. Slice and de-seed the papaya into 4 boats. Then peel and chop the bananas, orange, and mango. Mix the fruit together and divide it into the papaya boats. 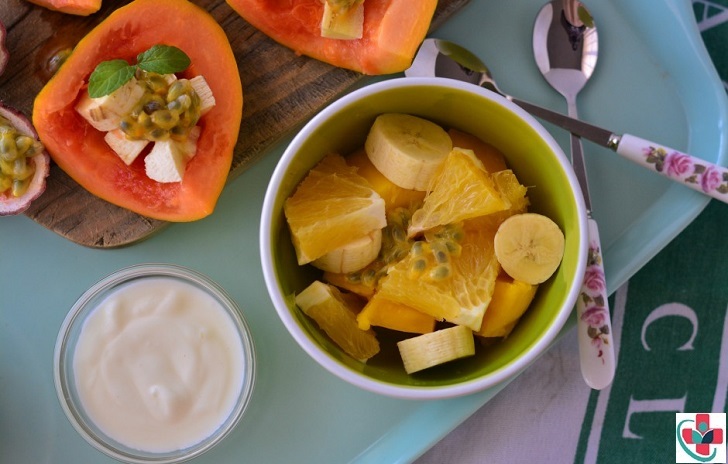 Place the rest of the fruit salad in individual bowls, Add the passion fruit and serve with a side of yogurt. I personally love to add some museli and a drizzle of honey for something a bit more filling if I need that extra energy.